The best-selling introduction to statistics for students in the behavioral and social sciences, this text continues to offer straightforward instruction, accuracy, built-in learning aids, and real-world examples. 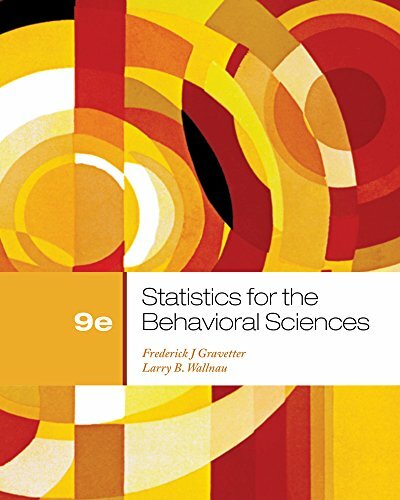 The goal of STATISTICS FOR THE BEHAVIORAL SCIENCES, 9th Edition is to not only teach the methods of statistics, but also to convey the basic principles of objectivity and logic that are essential for science and valuable in everyday life. Authors Frederick Gravetter and Larry Wallnau help students understand statistical procedures through a conceptual context that explains why the procedures were developed and when they should be used. Students have numerous opportunities to practice statistical techniques through learning checks, examples, step-by-step demonstrations, and problems.